However, there was one facet of my analysis I think was actually harmed in the cutting: a rumination on the way the musical form acts as a critique of capitalist logistics. As a result, I’m including the extended version below. This is also a chance to give the Broadway version—which in most ways is far worse than the film—its due. 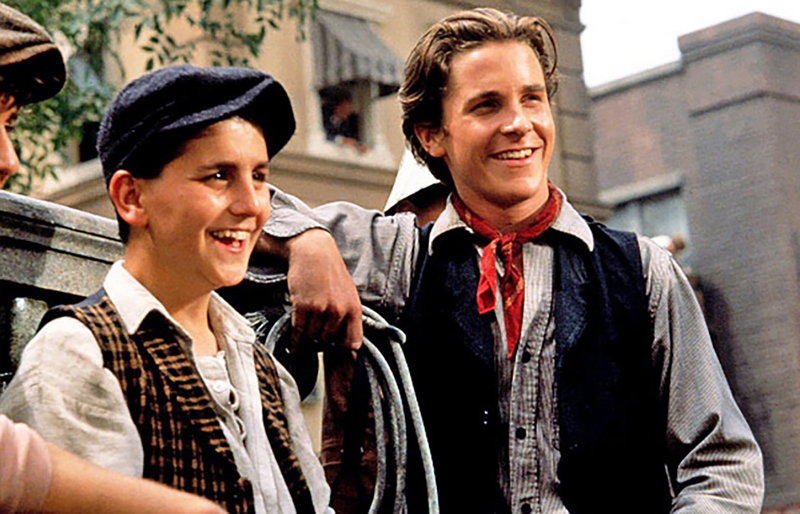 One area in which the Broadway version exceeds the film, however, stems from another aspect of Newsies’ musical-ness: its dynamism. While the film is filled with large group dances and impressively ornate numbers, the stage version adds in mobile sets that whirl along with the dancers. The cast spin giant scaffoldings, dart between them, climb them as they move, slide past them, all while other cast members jump, spin, and flip their way through intricately arranged choreography. The movement of bodies and machinery is simply astounding. In this, Newsies mirrors a fact of capitalism as obvious as the musical-ness of Newsies: logistics. The sheer movement of goods across global networks and supply chains that keep the capitalist economy running, seemingly endlessly and perfectly, is essential to capitalism, to the way the Western world is caught in the swirl of consumer goods. People rightly complain about the way wealthy Westerners find it easier to buy paper goods shipped from Indonesia and discarded into an ecosystem of trash that is then moved across the globe to unseen landfills than it is to wash their own plate, but the fact that capitalism is able make this seem easier is a crucial fact about the way it operates. Of course, while capital is able to dazzle, making it seem as though it operates in a perfect system of logistical distribution, reality is otherwise. Actual distribution of goods is far more chaotic, far less perfect, far more unjust: some starve while others can’t consume their food before it spoils.